Long-time Bay Area resident Mary Alys Cherry has been named publisher of Bay Area Magazine after an extensive career in the newspaper business. Chairman Rick Clapp made the announcement. “Many years ago I dreamed of putting out a magazine focusing on the Bay Area and its people. I’m delighted that my dream has come true and looking forward to working with the magazine’s great staff and continuing to cover our wonderful area,” Cherry said. She comes to the magazine after 30 years at The Bay Area Citizen, where she worked as a columnist for a number of years before becoming editor of the weekly newspaper. After nearly a decade as editor, she was named editor emeritus. A journalism graduate of the University of North Carolina at Chapel Hill, Cherry joined The Citizen in 1981 after holding several executive editing positions on daily newspapers in Florida and her native North Carolina. Shortly after joining The Citizen, she started her popular column focusing on Bay Area people, local volunteers and their efforts to make Clear Lake a better community. While editor, she and her staff won many state press awards including First Prize for General Excellence for five straight years in the Gulf Coast Press Association contest. 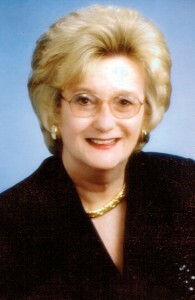 She serves on the Board of Directors of the Bay Area Houston Economic Partnership, Bay Area Houston Transportation Partnership and the Rotary National Award for Space Achievement Foundation, and is on the Assistance League Advisory Board and the Clear Lake Area Chamber’s 50th Anniversary Committee. Over the years, Cherry has been a member of Space Center Rotary, Bay Are Museum Guild, Houston Symphony League Bay Area, Clear Lake Metropolitan Ballet Guild, the Bay Area American Red Cross Advisory Board, Recherche, the Cancer League, Bay Oaks Country Club, Lakewood Yacht Club, South Shore Harbour Country Club and Sigma Delta Chi professional journalism society.